Get lastest information from home page. Record Toto tickets. Auto check prizes. 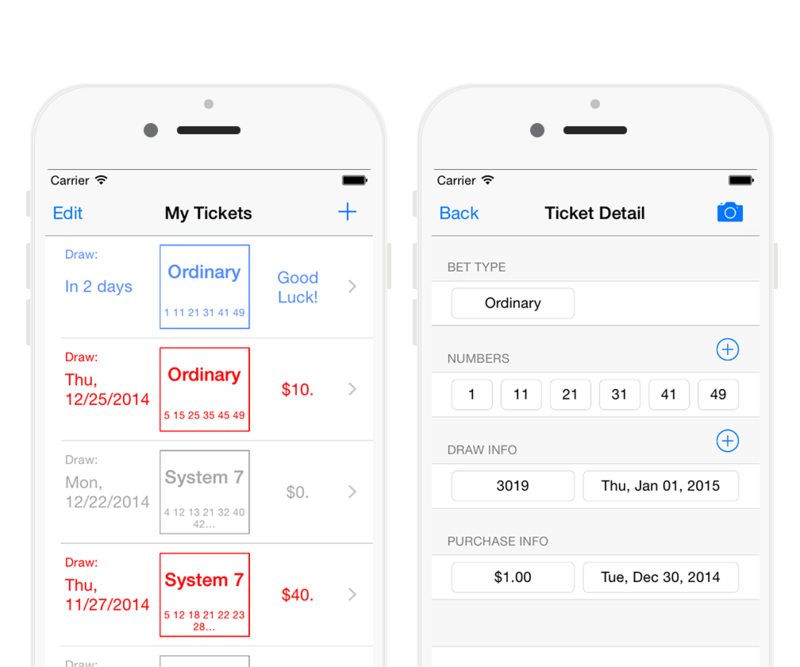 List winning, non-winning, and future tickets using different colours. Easy input by ticket scan - auto read data from camera images. Update Toto draw results from Singapore Pools website. 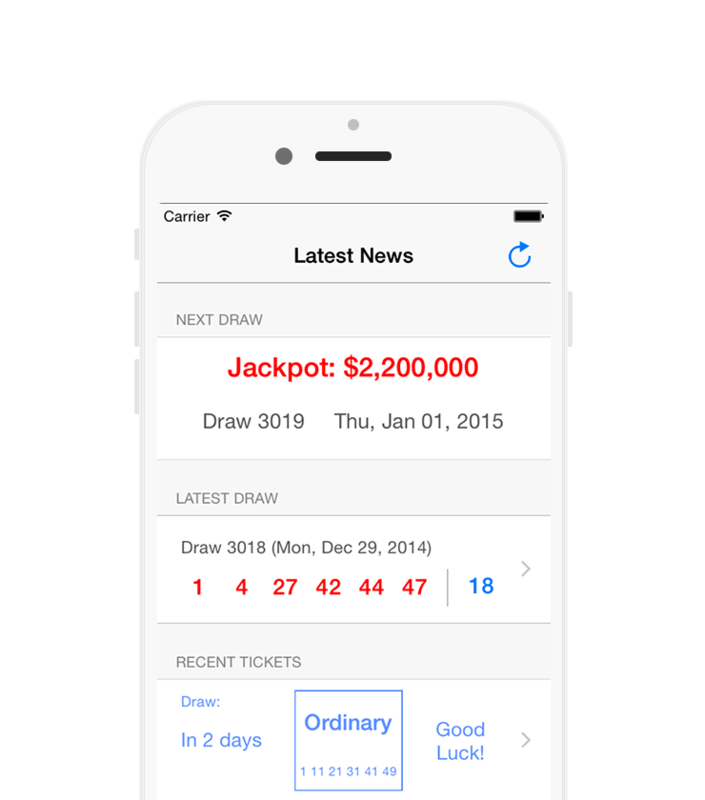 Fetch latest draw results and check prizes for recorded tickets. 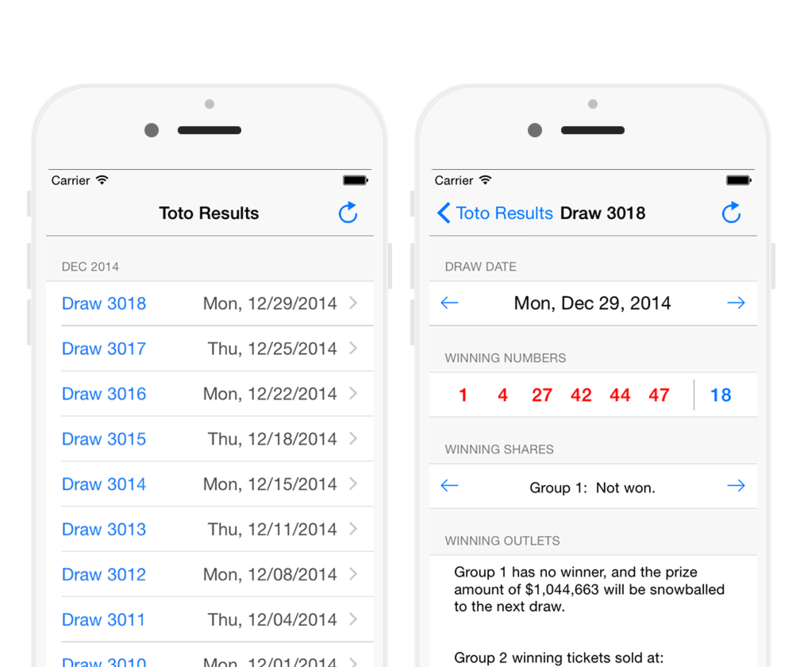 View draw details including winning numbers and outlets. Pre-loaded draw results since 1998. Plot expenses or earnings per month. 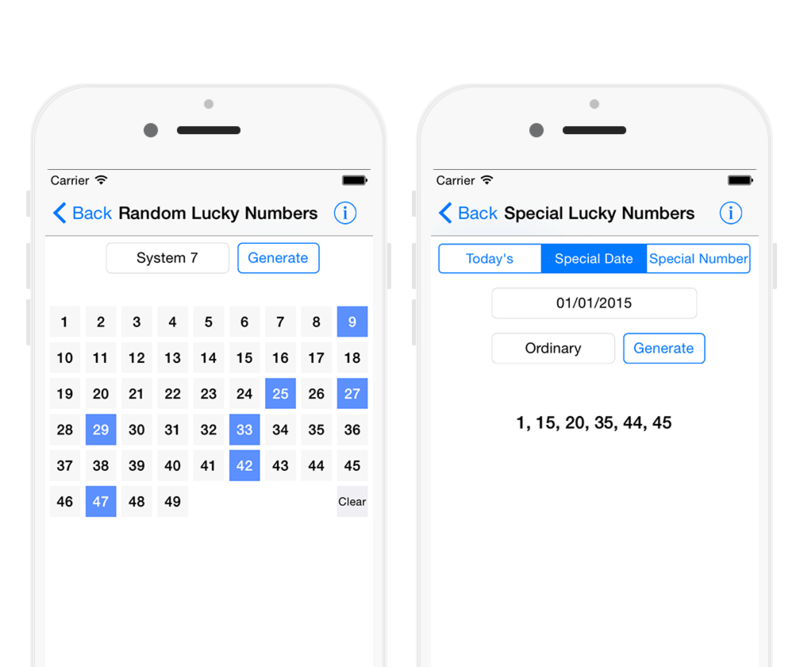 Generate lucky numbers based on a special date or number. Quick pick numbers by random generation. Analyze top frequent numbers from past draws. 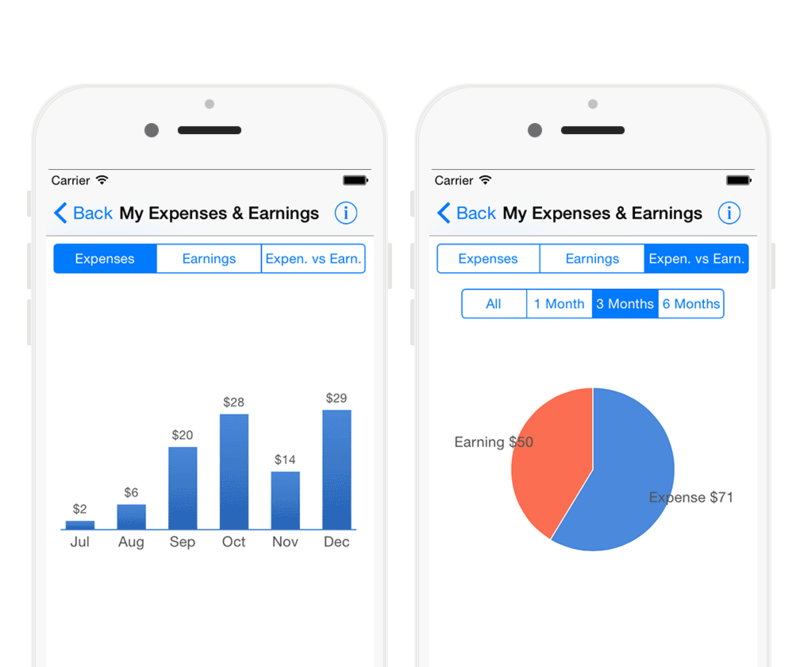 Find top frequent single numbers, pairs and triplets from past draw data (starting from new version of Toto 6/49). 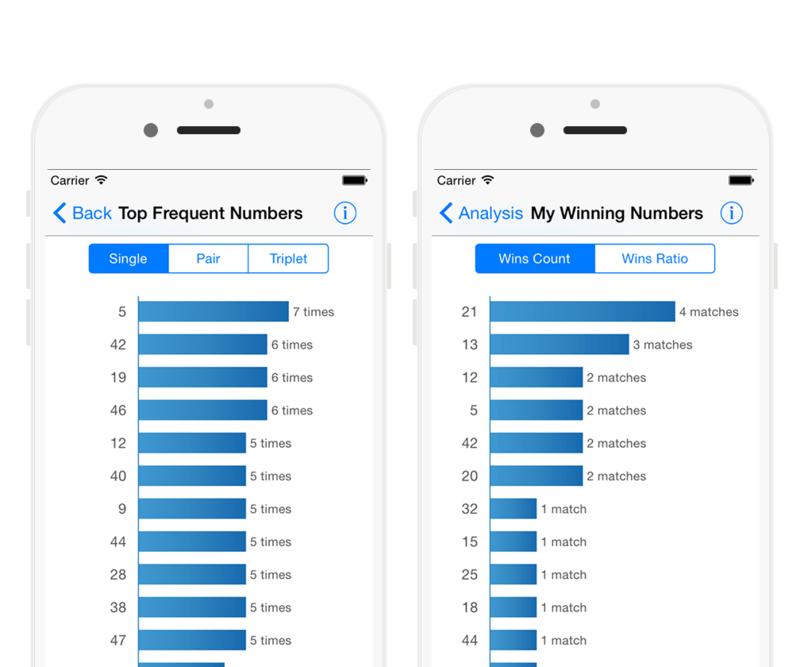 Find which numbers you bought match to winning numbers. What if you keep buying a fixed entry? 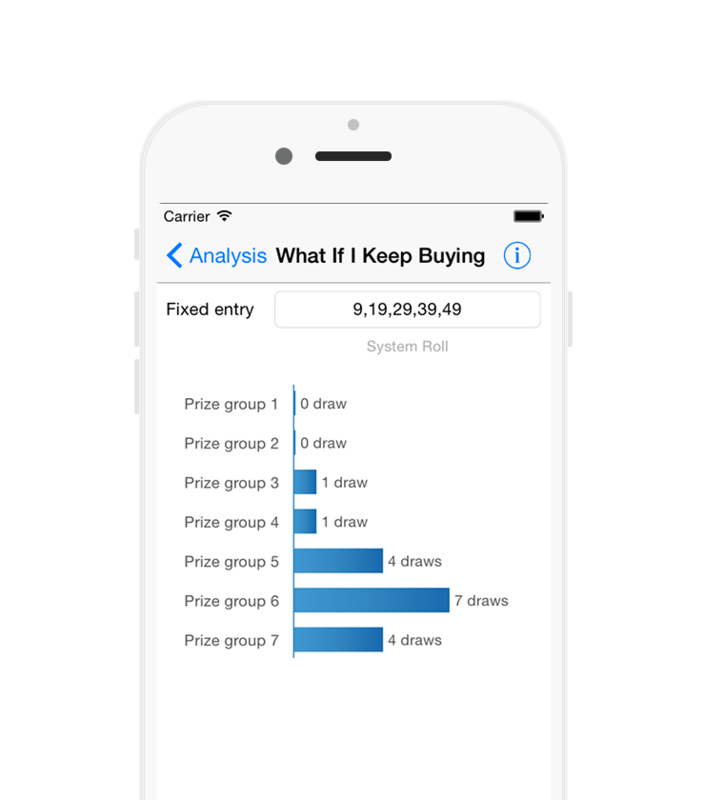 See what would happen if a fixed entry was purchased for every past draw.